Jeff and I were seated at the back of the house when we heard an alarmingly loud bang. We looked at each other questioningly but I felt a familiar sickening tightening in my stomach because I knew that sound could only be made by one thing. A car crash. We walked onto our balcony and looked out of the back of the house and saw nothing. 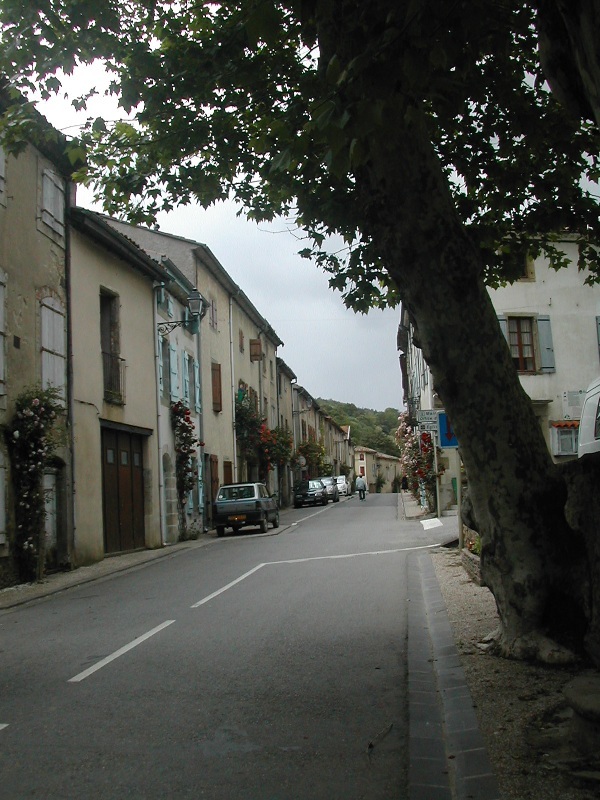 We both then walked into our bedroom at the front of the house and opened the windows to see a large lorry which had clearly just collided with one of the stately plane trees that line this section of grande rue. “Thank goodness there weren't any people or parked cars on La Terrace, they'd have been flattened”, we told each other. The inhabitants of Camon were beginning to peer from their windows and to appear on the street. Emilie ran out of the Office de Tourisme, Christiane rapidly emerged from her Épicerie and Monsieur Huillet, the Maire of Camon, was swiftly at the scene. 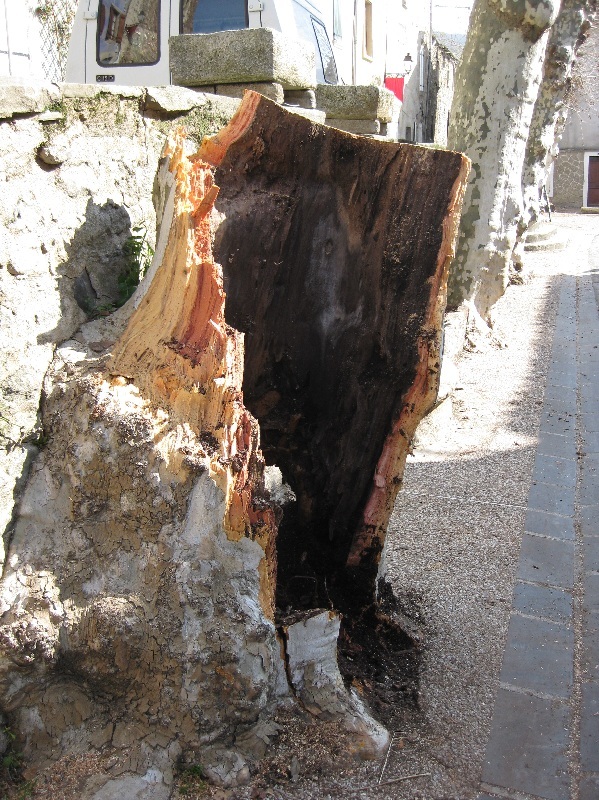 Fortunately no-one was injured but 1 of the 5 ancient arbres inclinés (leaning trees) had been felled in the accident and a stone planter was damaged. 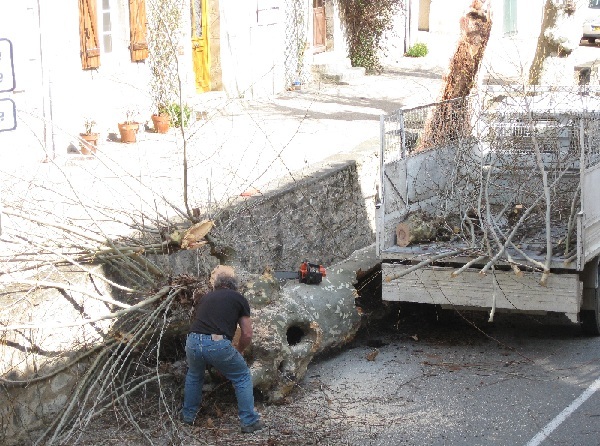 Once Gérard had finished stripping all the branches, the tree trunk was attached to the back of a tractor with chains and dragged through the village. A sad final journey out of the village for the remains of the tree. Monsieur Huillet had closely supervised the attaching of the chains before allowing the removal of the tree. Tonight there are only 4 trees left along this stretch of grande rue. The rotten stump is all that remains of the huge ancient plane tree. This picture was taken in 2009. 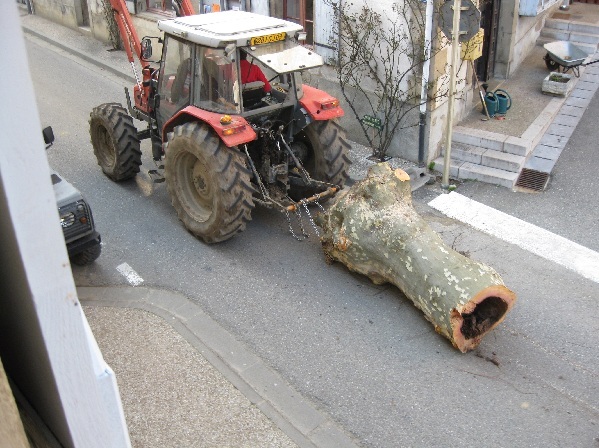 Notice the angle of the tree; this is a common hazard in French villages unfortunately it seems that Camon is a risky place if you're a tree.